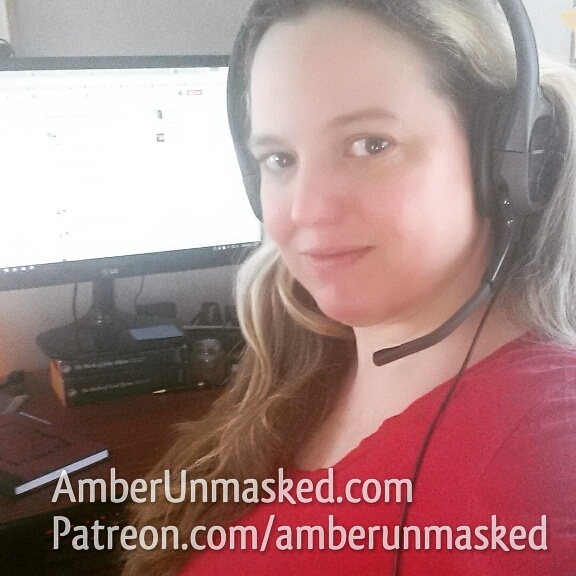 AMBER LOVE 20-Aug-2018 My work is supported by the generous backers at Patreon.com/amberunmasked who appreciate my reviews and my stories; and they also get first access to what’s happening with my books and podcast. Also, I’m an Amazon Influencer so you can shop through my personal recommendations. This review was made possible by NetGalley. Quotes from the Buddha are everywhere: on Facebook, Instagram, coffee mugs, posters. There’s only one problem: the Buddha didn’t actually say most of them. This humorous and informative book takes these fake Buddha quotes as a launching point for a discussion on what the Buddha really did say, and is a great entry point for those interested in learning more about Buddhism–what it is, and what it isn’t. Bodhipaksa, a well-known Buddhist teacher and the founder of fakebuddhaquotes.com, takes a look at some of the quotes that are erroneously attributed to the Buddha, explains the ways in which these disagree (or sometimes agree) with Buddhist teachings, and offers some genuine examples of the Buddha’s words. The perfect gift for the Buddhist in your life and an essential addition to any Buddhist library, I Can’t Believe It’s Not Buddha! is at once humorous and scholarly, and a timely antidote to the “fake news” that can surround some of the Buddha’s teachings. 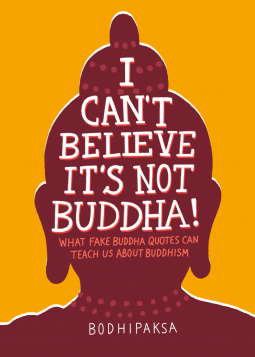 What Bodhipaksa does in this delightfully honest book of research is explain just a handful (meaning 50) of the most common quotes attributed to the Buddha which end up circulating online in memes. Sometimes it’s as simple as a misattribution; other times, it’s because of interpretation of translations which can be far removed from original Pali texts. The Buddha lived in a time when teachings were orally passed down. There was a lot of repetitive phrases for students to get the flow and cadence of sentences in order to commit to memory. Then scriptures or suttas or sutras depending on the language, were finally written down. Those went through translations and then translated again into English. The English translations vary from Victorian England’s dialects to modern American. Bodhipaksa explains all of this and that once in while, the translations weren’t so far off from what the Buddha actually meant. Part of what makes I Can’t Believe It’s Not Buddha exceptionally cool and fun to read is that Bodhipaksa explains things so plainly and with a considerable amount of humor interspersed to keep the reader going. There are quite frankly a ton of misconceptions about what it is to be Buddhist and part of that is because there are different types of Buddhists: from Tibet to Japan to the western world. It all ends up going back to who taught you Buddhism and that’s why lineage often becomes emphasized in different schools of yoga. “And in a more material sense, he encouraged his householder followers (that is, those who weren’t monks and nuns but had families and jobs) to work hard and to create wealth. Heedful at administering or working at one’s occupation, maintaining one’s life in tune, one protects one’s store of wealth. This common misunderstanding crops up across any religion, I would bet. I personally don’t go for required tithing as it always seems to be the people with the least that end up giving the most proportionally. Another clever way that Bodhipaksa reveals frequently seen quotes being misattributed comes from what he calls “quotation promotion.” It’s when someone lesser known — at least by today’s audience — is replaced with someone famous. Bodhipaksa even caught me personally on Instagram when I posted what I believed to be a Maya Angelou quote — but since it’s his passion and he is a die-hard fan of hers, he corrected me. I’m usually in the habit of checking quoteinvestigator.com if I’m skeptical, but that particular quote was something I believed she would have said. If you ever find yourself about to share a meme claiming to be a quote from Abraham Lincoln or Taylor Swift, check Quote Investigator first. Any reader with even a cursory interest in Hinduism or Buddhism would appreciate the facts which Bodhipaksa lays out clearly for the layman. You don’t need to be a linguist with PhD to have a great time reading this book. As a student of metta meditation (mindfulness) which was born from the Buddhist religion though practiced secularly around the world, I was surprised to learn that the Buddha didn’t speak about “the present moment” which a common device used in meditation. We guide students to be in the now, the present, and to let go of the past or the fantasies of the future. According to Bodhipaksa, this mantra of “be in the present” was something that came around into popularity in the 1960s. There are plenty of catchphrases that came out of the 1960s hippie revolution where New Thought and New Age studies latched on and spread what those practitioners believed; which in turn cultivated brand new off-shoots sort of, kind of related to Buddhism but not Buddhism. This happened a lot with various Native American appropriations and probably when a lot of people began to “be Cherokee” in a past life. The author also clears up how the Buddha really discussed mental illness. In fact, he didn’t. The Buddha’s meanings for “the mind” or “the mental state” are not at all related to what we think of in modern DSM5 clinical terminology. He states that this particularly popular on Twitter and has been around since 2005 which, to my amusement the author calls “The Year Fact-Checking Died.” The Buddha did not want nor have desire for living things to suffer. 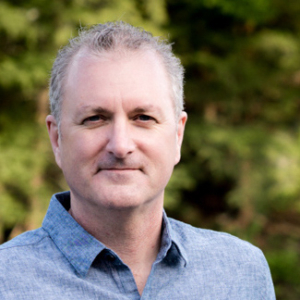 Calling life suffering is shorthand for something that requires a much deeper dive. There’s no victim-blaming by the Buddha. I see the quote above quite often, but usually there’s never any credit given. It’s a meme that people doing public speaking recite on a regular basis. It’s become part of the zeitgeist the same way as “I treat female characters as human beings” has. They may have been said by a contemporary celebrity or person in the news, but they aren’t the originators of those quotes. Plus as it’s said today, “Anonymous was a woman,” because women were so rarely allowed to be free thinkers worthy of quoting. There are quite a few successful women in I Can’t Believe It’s Not Buddha who had their words attributed, sometimes with a twist, to the Buddha. Toni Morrison, Marie Curie, and others. There’s also a fantastic reveal about someone often included in quote generators and websites. The man by the names of Osho or Bhagwan Shree Rajneesh. This man was a scoundrel who bilked people for lots of money. He had a Rolls Royce collection. And if that’s not enough to find him disreputable, he was also a terrorist. So don’t quote him. Like, ever. There are several reasons why popular sentiments are misattributed and Bodhipaksa goes into them with plenty of examples and when possible, full credit to the true originator. The fact that so many people have books where “Buddha” is in the title such as “What the Buddha Taught” by Walpola Rahula or “The Teachings of Buddha” by Jack Kornfield makes it seem like what those authors wrote is what the Buddha actually said. They paraphrase and, as noted before, work from translations. The estimated reading time was around three hours so this is perfect for people who can’t dedicate months to researching Buddha’s teachings; or quite honestly, for people who like a great bathroom read (and that’s not an insult).